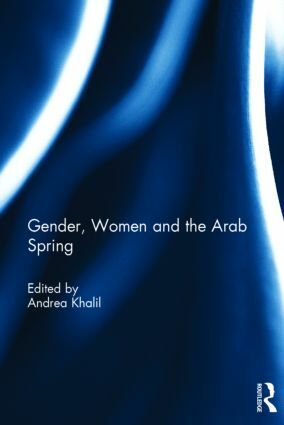 This book provides a unique investigation into the gender dynamics of the Arab Spring as it unfolded in North Africa. It covers issues such as gender legislation in the post-revolution period, sexual harassment, gender activism, politics and the female body, women and Islamist movements, state feminism, women and political economy, and women’s rights in the context of political transitions. Chapters on Morocco, Tunisia, Algeria, Libya and Egypt are written by specialist and activists from those countries. It includes a rare, first hand insight into the gender debates, human rights violations and politics of post-Qaddafi Libya, written by a Libyan scholar directly engaged in these developments. An analysis of post-Mubarak gender debates in Egypt is detailed by a gender activist and scholar currently engaged in these debates in favour of gender equitable legislation and human rights in Egypt. Two former Ministers of Women’s Affairs from Tunisia and Algeria, who are also prolific scholars, provide analysis on the situation of women’s rights in the context of Islamism and freedom of artistic expression in Tunisia and Algeria. In addition to these first-hand accounts written by North African political and civil society actors, the book provides a comprehensive theoretical background that allows for readers to understand the historical and deeper cultural contexts of gender struggles. The Foreword frames the larger debate about gender equality and democratisation in the North Africa/Middle East region and clearly presents the lines of investigation of the chapters. Each chapter contains a clear framing of the subject that will orient, educate, and intelligently inform the general reader about the history, current developments and stakes of women’s struggles that have intensified and shifted since the beginning of the Arab Spring. This book was published as a special issue of the Journal of North African Studies. Andrea Khalil, PhD, Associate Professor of Comparative Literature and Middle East Studies, Queens College, The City University of New York. Khalil is the author of several books and articles on North African including Crowds and Politics in North Africa: Tunisia, Algeria and Libya (2014), North African Cinema in a Global Context: Through the Lens of Diaspora (2008, editor). The Arab Avant-Garde: Experiments in North African Art and Literature (2003).